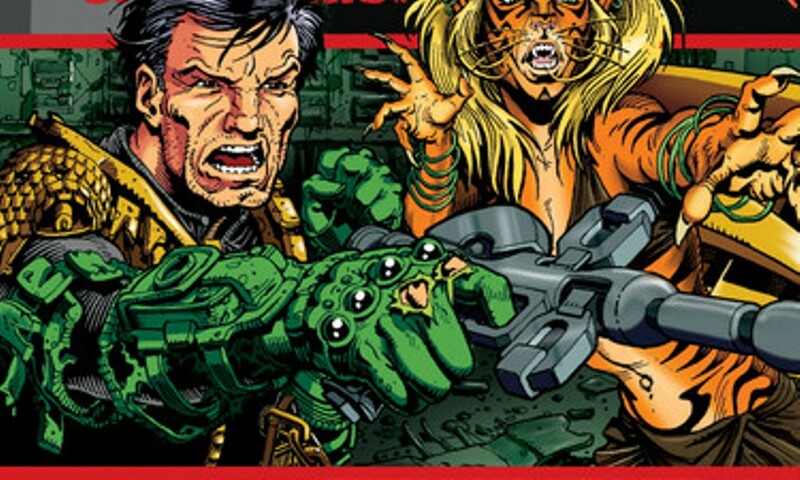 A group of mutants attacked Mega-City One one night, while Judge Dredd was pulling “wall duty”, defending the city from those who live in the wastes outside. But Dredd saw a familiar face amongst those breaking into the city – ex-Judge Garris Hale, a man Dredd once took under his wing… a man Dredd later destroyed. 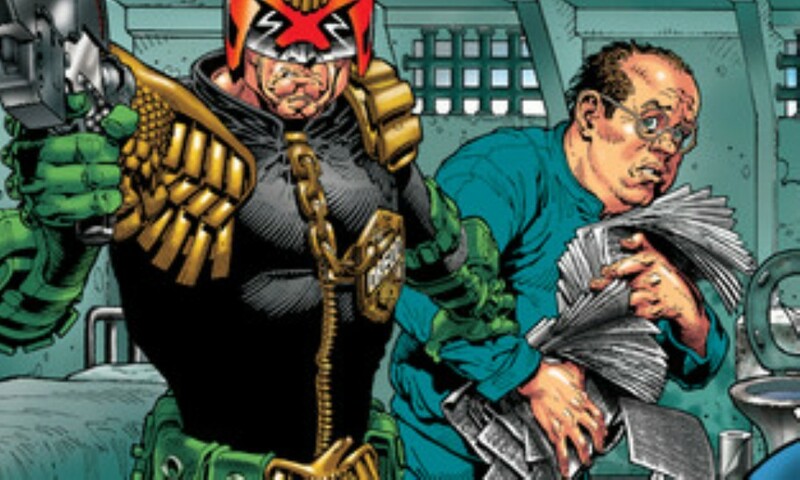 Dredd now finds himself on trial by the Special Judicial Service for his mishandling of the case, which could result in the end of his own judicial career. James Swallow’s Blood Will Tell is the second of the Crime Chronicles series, and the only one to be narrated by Judge Dredd himself. The conceit here is that Dredd – normally not the most verbose of narrators – is being forced to recount the events under duress. The story jumps back and forth between Dredd explaining what happened after he realised Hale was back in Mega-City One, and Dredd’s discussions of his own history with Hale. The strong point of the story is Judge Dredd himself, in all his over-the-top glory: “See anyone can be strong, but not everyone can be tough. Stamina. That’s the key. You take the hit on the chin. And then you roll it right back… with interest!” And then he punches some guy out, of course. Swallow gets Dredd’s hard, macho persona, and between him and Toby Longworth’s portrayal we get the usual portrayal of tough-as-nails lawman that moves just the exact right amount into over-the-top. What’s less successful is the character of Garris Hale. A judge kicked out of the city thanks to possessing mutant genes, Hale looked up to and admired Dredd – until Dredd took his badge. 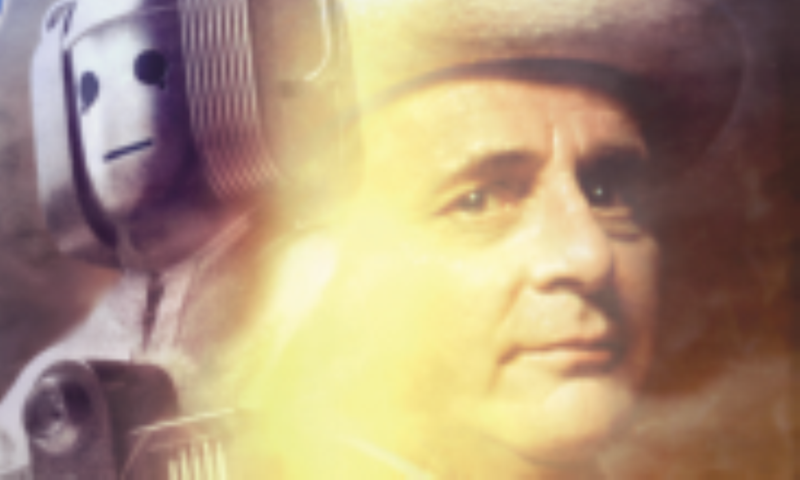 Paul David-Gough’s performance is part of the problem here; he does one of those slightly and inexplicably “country” accents that so many of Big Finish’s performers seem to think are essential for playing an American, and after a while it grates on the ears. The writing is also a little weak in this regard. In the present-day sections, Hale rarely rises above the level of cackling villain; he has a sympathetic backstory, but he doesn’t actually do anything to make the listener sympathise. On the other hand, he’s not quite all-out evil enough for listeners to just relish in his actions, as he spends all his time explaining why he’s still in the right. 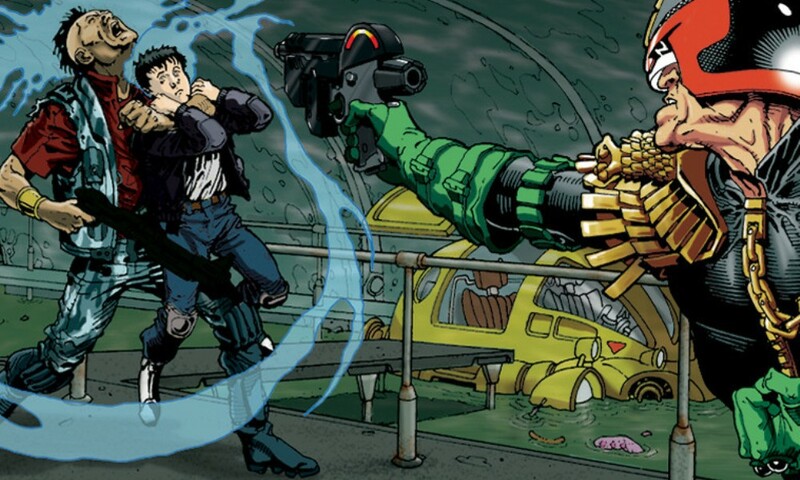 The flashbacks are seemingly there to provide a human factor to the relationship between Dredd and Hale, but they’re too scant and short to really work. We only see a couple scenes. The time taken up by the flashbacks, however, also results in a flimsy plot; Hale’s sinister plan boils down to him stealing a van, and Dredd’s “detective” work ends up almost entirely perfunctory and irrelevant. The story tries to serve two masters with both its present-day crime tale and its flashback relationship scenes (not to mention the frame story of Dredd being on trial), but ultimately ends up not fulfilling any of those roles adequately. Despite strong writing for Dredd and the usual strong performance from Longworth, this is a definite step downward for the Crime Chronicles after Stranger Than Truth. Blood Will Tell (by James Swallow; starring Toby Longworth) was released by Big Finish Productions in November 2009.